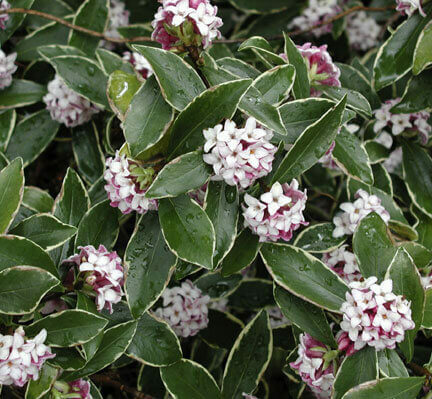 A gorgeous small evergreen shrub which has dark glossy foliage with variegation on the leaves edges. 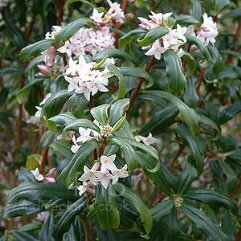 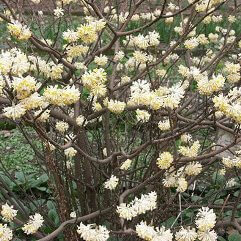 The heavy scented flowers appear from mid-winter to spring. 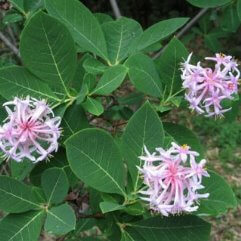 Feed well, after flowering, with a slow release fertilizer. 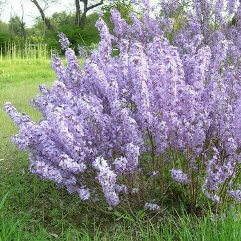 Great as a cut flower, a pot, border or rockery. 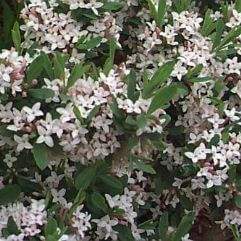 Beautiful perfume. 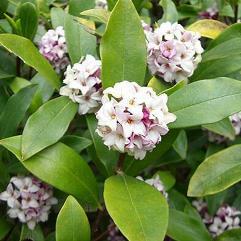 With all Daphne's, we recommend planting them where you can enjoy the perfume.